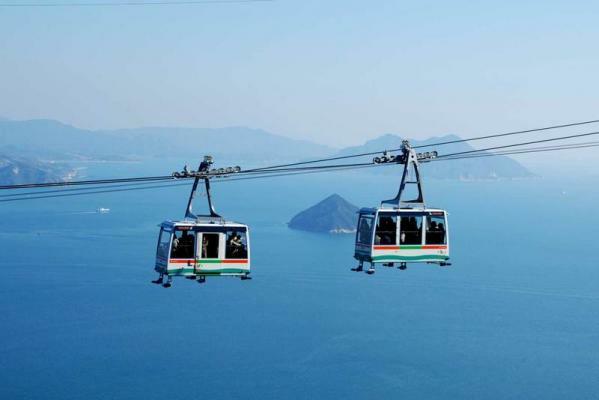 An air walk on the ropeway gondola is another attraction of Mt. Misen sightseeing.You can enjoy magnificent views of the Seto Inland Sea and Miyajima’s primeval forest, as if you were walking in the air. copyright © Seekinghiroshima.com all rights reserved.